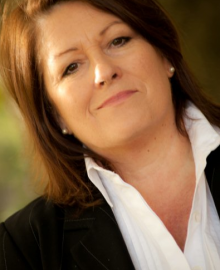 Jayne is a Recruitment Specialist with over 25 years experience recruiting for businesses of all types. Jaynes’ company Better People is based on thorough and ethical recruitment methods, working with clients to arrive at a bespoke recruitment campaign for their team. Better People meet all the candidates they put forward to clients working with those individuals to achieve their best result finding them that perfect role, in a company and job where they will achieve Flow. Better People select the right clients to work with so that their candidates and clients can be well matched. “I continue to be amazed at the power of the Talent Dynamics Profiling system. My clients and candidates have been amazed at the benefits they derive from using the Talent Dynamics system to improve their recruitment and selection processes. Candidates learn more about themselves and what they need to do to be in Flow. Clients who have been through their Talent Dynamics Profile know more about themselves and the types of people they need to be working with and the kind of activities they need to be involved with to achieve Flow. Working with larger established firms with a number of employees or working with individual sole traders, building virtual teams, the effect is the same. Once you achieve Flow everything becomes clearer.